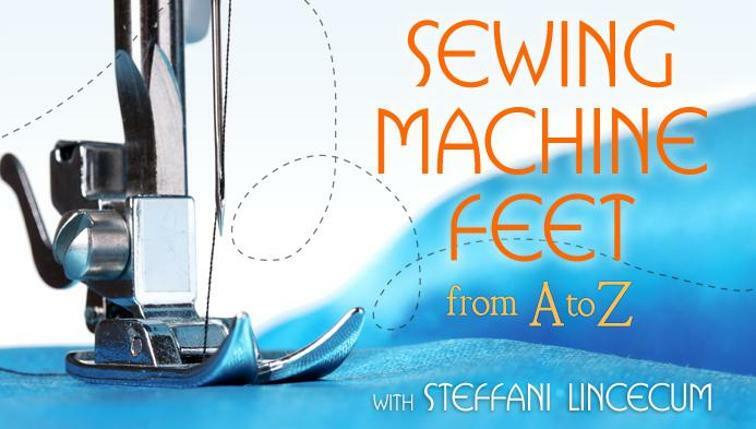 The prospect of threading a sewing machine can be intimidating at first. Although every model of sewing machine threads slightly differently, there are components that remain constant despite your model. 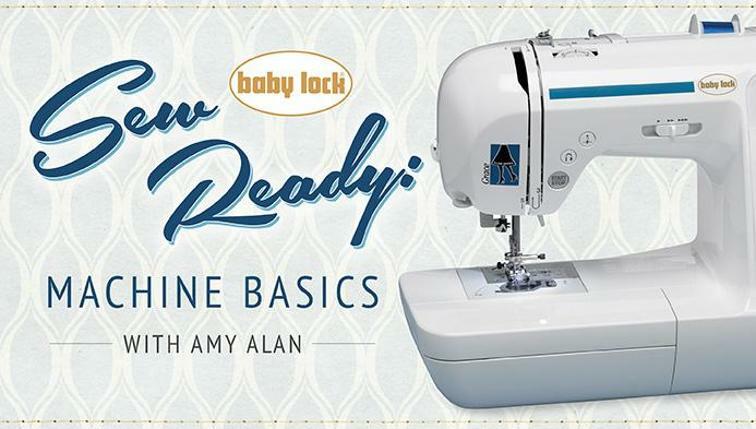 The key is to learn to identify the different parts of a sewing machine and to understand the threading steps. 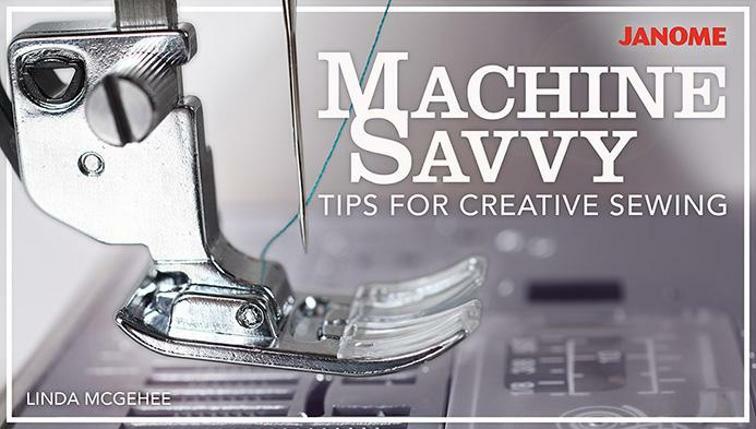 You should then be able to thread just about any machine! The first step to threading a sewing machine is to find the spool pin. This pin is what holds your spool of thread. while some spin off thread from a horizontal position. These machines will have a clip to keep the thread spool from flying off. It is important not to lose this piece! Put the spool of thread on the spool pin and pull off some of the thread from the spool so you can continue on with the next step. Now you will need to fill your bobbin with thread. Most machines have a series of hooks or loops to run the thread through. These hooks and loops keep the proper tension while you are winding the bobbin. Look for a thick round post on the top of your machine. 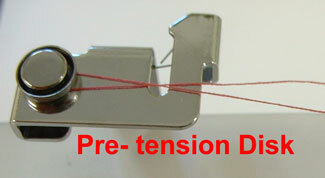 This is called the pre-tension disk. 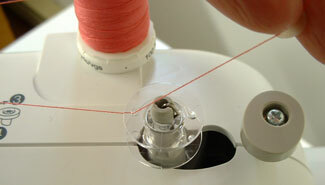 Run your thread across the top of your machine and around this pivot point once. 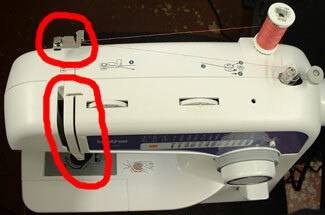 Many machines have numbers or arrows printed on them to guide the user through correctly threading and winding the bobbin. Pass the end of the thread up through one of the holes on the bobbin from inside the bobbin to the outside. Leave about four inches of thread sticking out on top. Snap the bobbin cartridge onto the bobbin winder shaft. Turn the handwheel toward you until it feels looser. 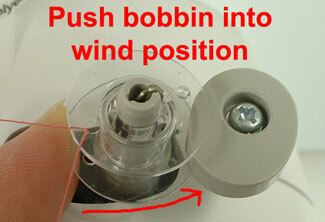 Click or push the bobbon on the bobbin stand into the "wind" position. Press on the foot controller (pedal). 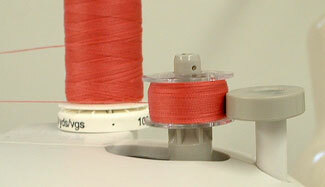 The bobbin should fill with thread and automatically stop winding when it is full. Cut the thread when the bobbin is full, remove the bobbin from the bobbin winder shaft and set the bobbin aside. Set the machine back into regular sewing mode by re-engaging the handwheel or by clicking the bobbin winder back into regular sewing mode.